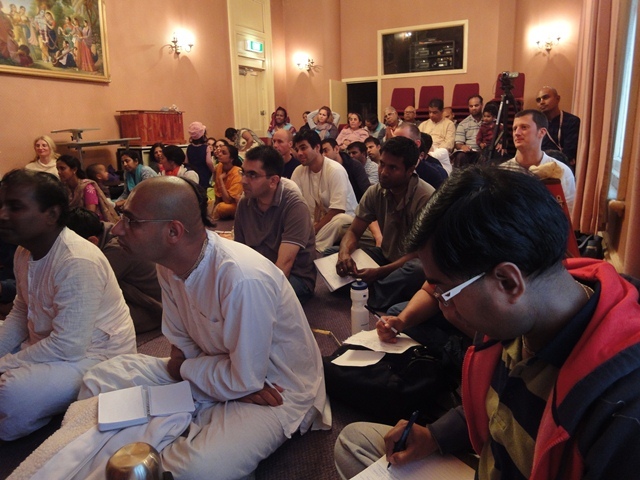 Next Town Hall - Sunday, April 20th - 3:30PM ~ The Toronto Hare Krishna Temple! We are very excited to announce that ISKCON Toronto will be hosting our next Town Hall on Sunday, April 20th, 2014 from 3:30pm to 5:30pm in Govinda’s Dining Hall. This Town Hall will present an opportunity for our vibrant Hare Krishna community to come forward and engage in a productive, two-way dialogue about our Hare Krishna temple and community at large. The Town Hall will begin with a small presentation from the ISKCON Toronto Temple Council, highlighting the successes, challenges and financial developments over the last several months. After this, we will open up the dialogue to our entire community to share their thoughts, dreams, concerns and suggestions about how we can continue to grow our temple and community. This Town Hall will be different in that we will have our auditor present to go over the past year's financials and aid in answering any financial question the community may have. We hope to see you on Sunday, April 20th - please feel free to pass along this warm invitation to your devotee friends! Hare Krishna!